NEW: ECONOMIC MODELING OF AGRICULTURAL WATER USE AND PRODUCTION WORKSHOP. This technical workshop in collaboration with the California Water and Enviornmental Modeling Forum (CWEMF). 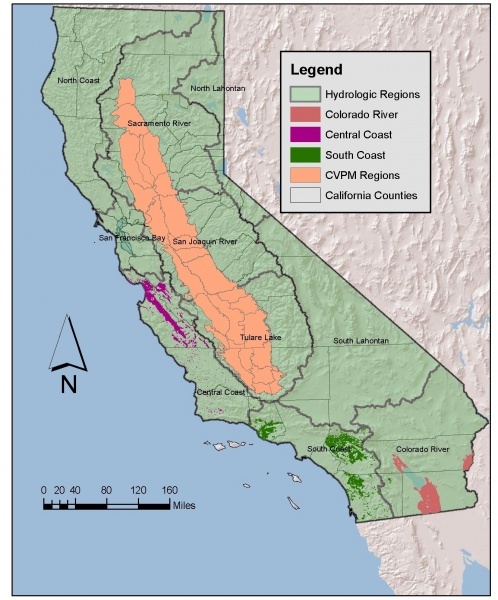 This workshop presents various alternatives for modeling the economics of water use and water scarcity within an agricultural production setting, with a particular focus on California. This 6-hour workshop at UC Davis is intended to bring experts and interested water resources professionals from academia, industry and government agencies to talk and learn about various models and optimization tools that have been used to evaluate the economics surrounding agricultural water use in California, Australia, Chile, and México. Applications using both mathematical programming and hedonic models will be presented. A discussion about modeling needs and future applications for the California water modeling community will be encouraged. See the links below for workshop compressed file. or workshop folder link. If you attended the workshop, please respond to our survey.